Returning to Boston in 1885, he became a member of the faculty of the Cowles Art School where fellow-faculty member Childe Hassam, an impressionist, became an influence on his work. In 1887, Graves returned to Paris where he enrolled at the Academie Julian to study figure painting with Jean Paul Laurens. From 1891, most of his paintings were of floral garden scenes, often with female figures in bright sunlight–showing the influence of European impressionism. 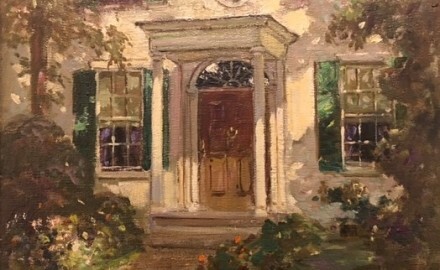 Travels between Paris and New England continued throughout his career, and in 1891, he opened his own art school in Boston which ultimately moved to Kennebunkport, Maine and closed in 1902. He also did illustration work in Paris from 1902 to 1905.